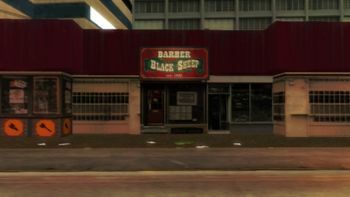 Barber Black Sheep is a barber shop located in Little Havana, Vice City in Grand Theft Auto: Vice City Stories (set in 1984). The business was established in 1932. Its name is a play on the nursery rhyme "Baa, Baa, Black Sheep". It is inaccessible to the player. This page was last modified on 12 June 2013, at 21:11.